Live corals are the key habitat forming organisms on coral reefs, contributing to both biological and physical structure. Understanding the importance of corals for reef fishes is, however, restricted to a few key families of fishes, whereas it is likely that a vast number of fish species will be adversely affected by the loss of live corals. This study used data from published literature together with independent field based surveys to quantify the range of reef fish species that use live coral habitats. A total of 320 species from 39 families use live coral habitats, accounting for approximately 8 % of all reef fishes. Many of the fishes reported to use live corals are from the families Pomacentridae (68 spp.) and Gobiidae (44 spp.) and most (66 %) are either planktivores or omnivores. 126 species of fish associate with corals as juveniles, although many of these fishes have no apparent affiliation with coral as adults, suggesting an ontogenetic shift in coral reliance. Collectively, reef fishes have been reported to use at least 93 species of coral, mainly from the genus Acropora and Porities and associate predominantly with branching growth forms. 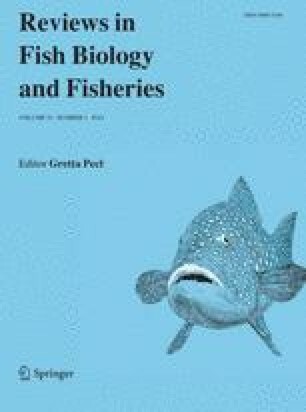 Some fish associate with a single coral species, whilst others can be found on more than 20 different species of coral indicating there is considerable variation in habitat specialisation among coral associated fish species. The large number of fishes that rely on coral highlights that habitat degradation and coral loss will have significant consequences for biodiversity and productivity of reef fish assemblages. This review was supported by the Lizard Island Research Station Ian potter Doctorial Fellowship, ARC Centre of Excellence for Coral Reef Studies and AIMS@JCU. We thank Karen Chong-Seng and Jessica Nowicki for assistance in the field and in compiling data. We also acknowledge James Kerry’s contribution of unpublished data.